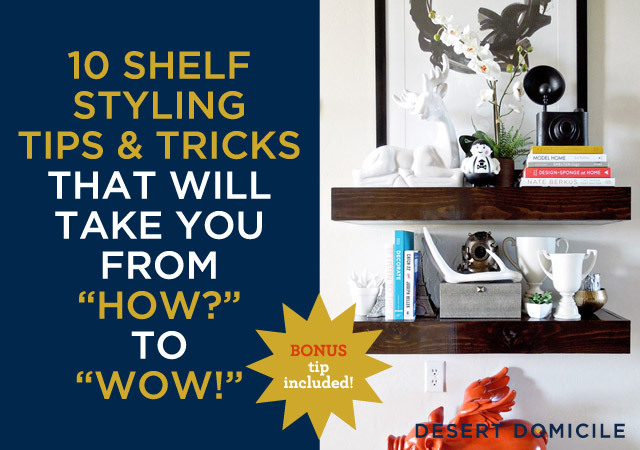 10 Shelf Styling Tips & Tricks: Go from "How?" to "Wow!" 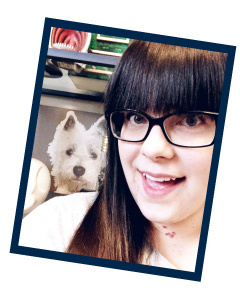 UPDATE: This just in: our styling tips have received the styling queen's seal of approval! I think it's safe to say by now that we can affectionately refer to this week as "Shelf Week." It's kind of like the Discovery channel's "Shark Week" but with a lot less blood and terror. And sharks. 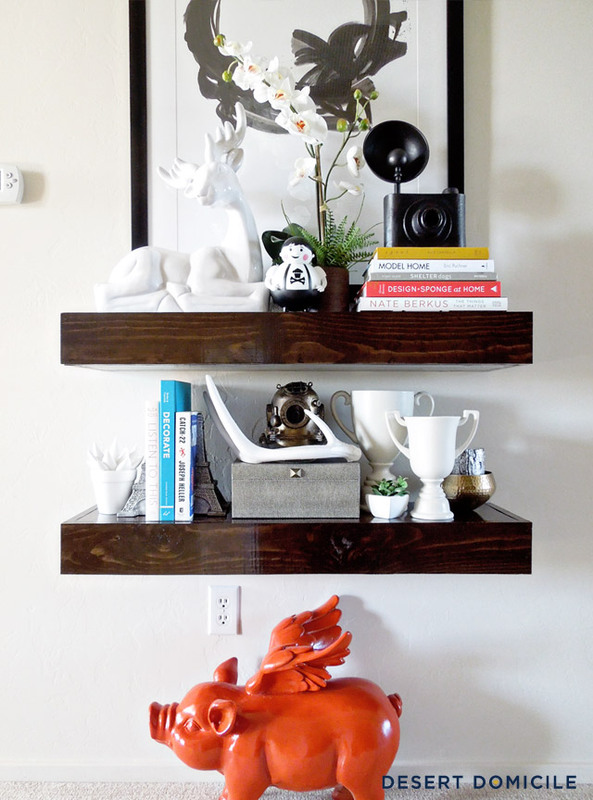 There's no sharks here, just floating shelves ;) Anyway, are you ready for the third installment of "Shelf Week?" Here we go! I had mentioned that every time I style something I think to myself "Self, that's the best styling you've ever done!" but then I go and style something else and I think the same thing but these shelves? These are the best I've ever styled! That being said, I'm no styling expert (far from it) but like anything, I'm getting better and better the more and more I do it. 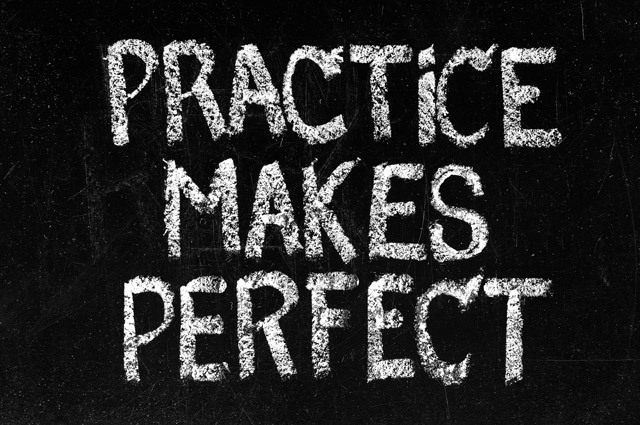 Practice makes perfect, right? Let's hope that's the case because today I'm going to be sharing a few styling tips and tricks (complete with photo examples) that have been working for me! 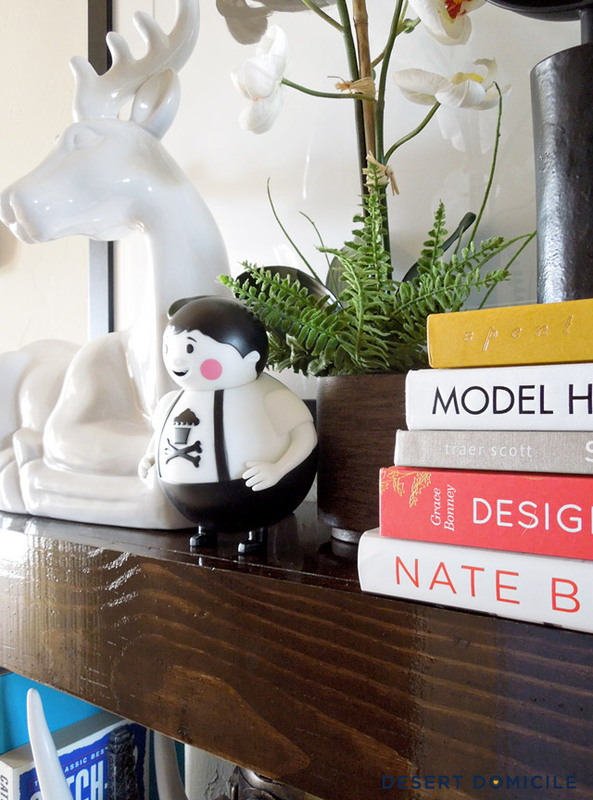 Style your shelves with a combination of short, medium, and tall objects to keep your eye traveling up, down, and across the entire display/vignette. 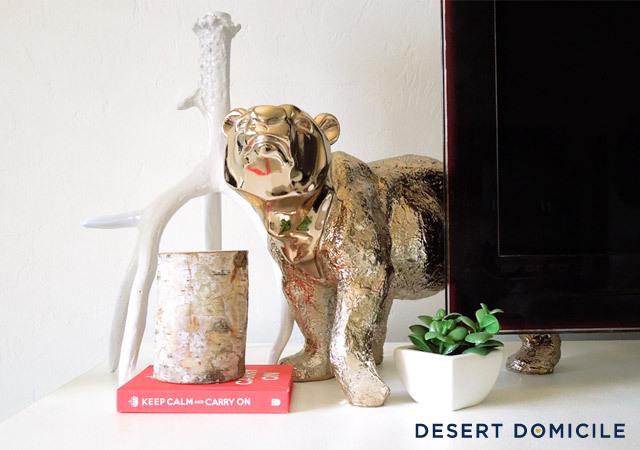 If you want to showcase a special piece, try stacking it a little higher than the others. 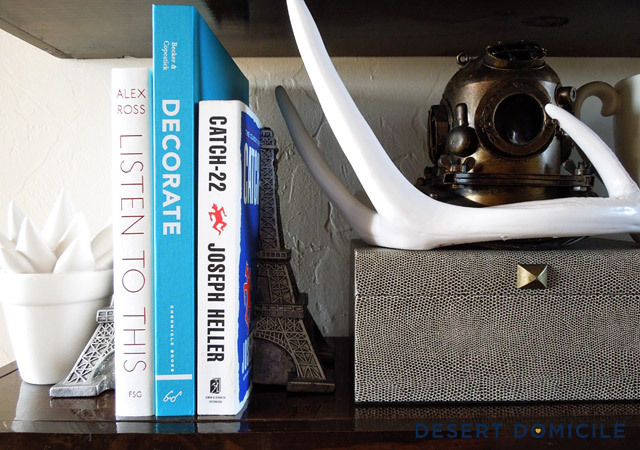 If it's not tall enough, use a decorative box or a stack of books to lift it up more. I try to stick to a color scheme for most of my vignettes but sometimes that doesn't work out based on the items I want to use. No matter what though, I always try to repeat one or more of the same colors throughout the styling if I can. The photo above is from Christmas but it's a perfect example of repeating colors. Both sides have red, white, and silver pieces but I've also included a gold piece which is a little unexpected but still interesting. Including objects that are old and new, high and low in price, and a mixture of books and sculptural pieces, etc. make your styling more interesting. For example, the deer on the top shelf was a bit of a splurge at $60 but it's exactly what I wanted so I bought it. Some of the other items were much less expensive like the books came from the thrift shop and the dollar store. The other accessories were purchased over time on clearance or under $20. When you're styling anything, the last thing you want is for your eye to stop on one area because that means some of your hard work isn't being seen. In the photo above, do you see how the ceramic antler on the left pulls your eye into the middle of the vignette and up the back of the swan bank? Well the swan's nose points down towards the ram's head on the right. The ram's horns swoop around in a circular motion and kind of shoot your eye back up towards the orchid. The orchid is leaning over to the left towards the bottles which draws your eye down towards the antler again making the movement process repeat again. Does that make sense? Odd numbered groupings are easier on the eyes because they give them a place to rest. They're also more interesting than even numbered ones. 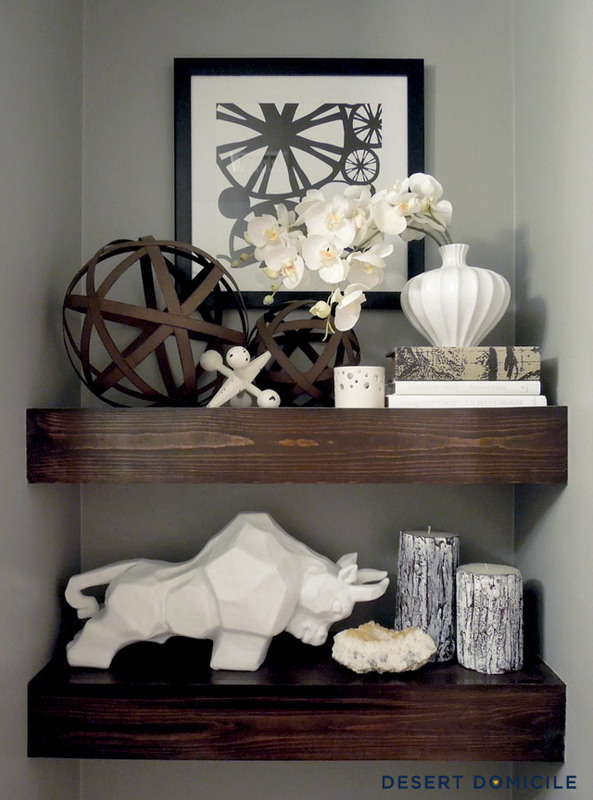 When you're styling a shelf, strive for groupings of 3, 5, or even 7 or 9 if you have a larger span of space. See that little black and white vinyl toy above? That's a Big Kid toy from Johnny Cupcakes. It may seem silly or childish to some but Johnny's my idol (you may remember when I met him) and I'm a huge supporter of him and his brand so I included one of his toys on my shelves. All of us having meaningful things that we've saved, gotten as a gift, brought back from a trip, collected, or had passed down to us. 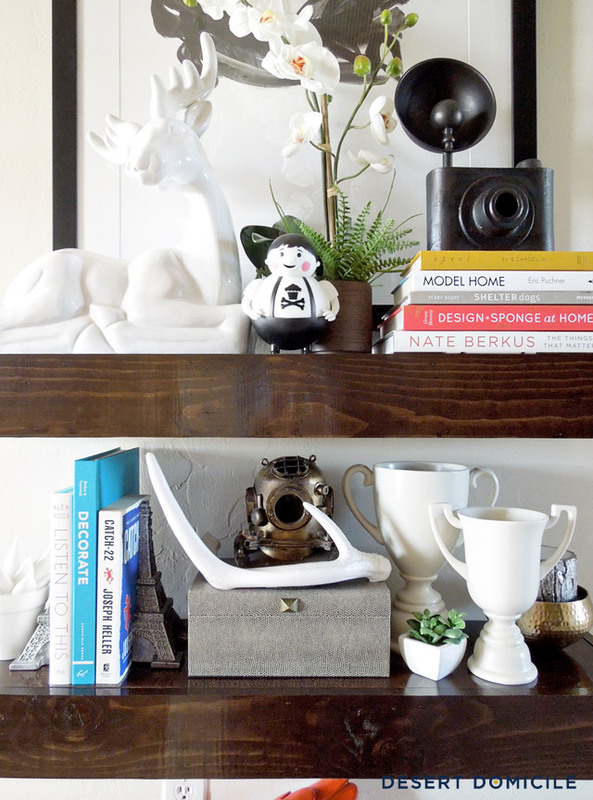 Style your shelves with objects that mean something to you like a wooden or metal initial, something you brought back from a recent vacation or your honeymoon, a gift you received, a photo of your grandparents, etc. Try avoiding the temptation to line objects up in the same row like a bunch of decorative soldiers. When you do this, your your eye will go down the line of them and then stop. All eye movement is dead after that. When you layer objects by putting some in front of the others, your eye has little nooks and crannies to peek in and out of which keeps it moving throughout the rest of your vignette and keeps things interesting! Placing objects horizontally offers a landing spot for other smaller things to be stacked on top of. This can give them more height and presence which keeps them from getting lost in the rest of the mix. Placing objects vertically also adds more height to your vignette. It helps draw your eye up to the top of your object which can bring your eye over to another object causing the eye movement I mentioned earlier. 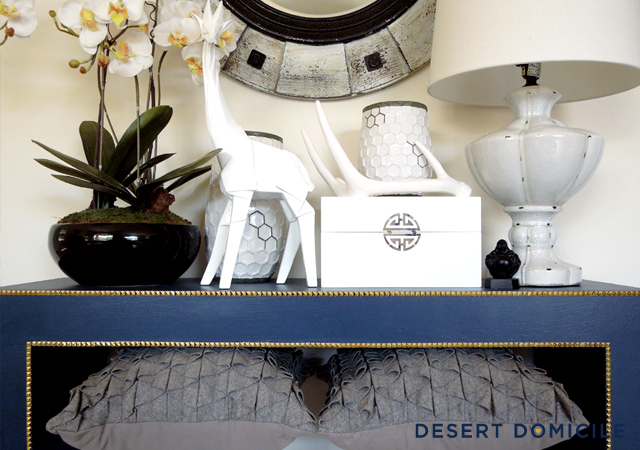 Like I said above, I'm not a styling expert and still have trouble when it comes to creating a new vignette! 9 times out of 10 I end up styling and re-styling things over and over again multiple times. 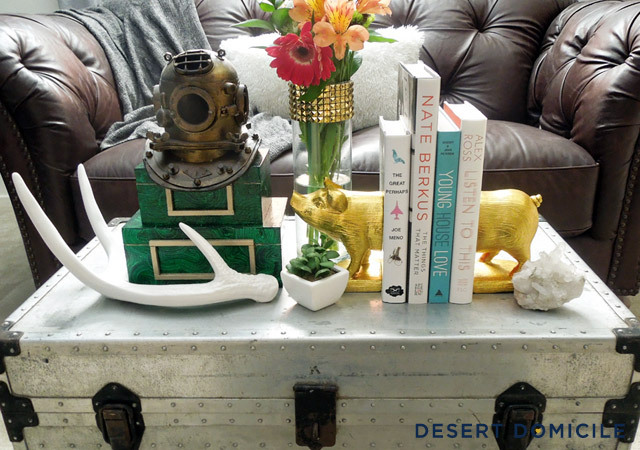 If you scroll back through the photos, you'll see that I've moved several objects around from the different areas I've styled. 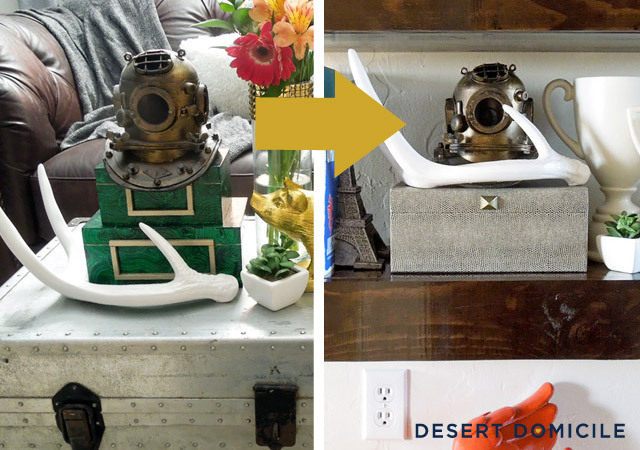 I have duplicates of some of my decorative accessories so I can use them in a couple of different places but for the items I only have one of, I don't hesitate to take them from one vignette if I think it'll work better in the new one I'm working on. Do these tips give you the confidence to become a styling superstar? Do you guys have any other styling questions you'd like me to try and answer? Great tips, tricks and beautiful photos! Thanks Kim! Start small and work your way up to a bigger area like a mantel or something so you don't get discouraged if your first vignette doesn't make you happy. Let me know if you need any help! You are awesome at styling! I have a ton of open cubbies (sort of like the Ikea Expedit shelves) that I have tried to style, but mine look like clutter, not at all like yours. Do you have any idea what makes something look like clutter and a bunch of knick-knacks, when yours looks like it is straight out of a designer magazine? Is it because the cubbies break up the styling? Is it possible to style like you do in a small space (say 1.5 x 1.5 feet)? I have 16 of these built in shelves, eight on each side. I would love to make it look like your spaces, but I have had no success. Sweet on the tweet! Although I can't figure out what gold shoe she's talking about! I love all your tips! A32671BE, etc. - Thank you! 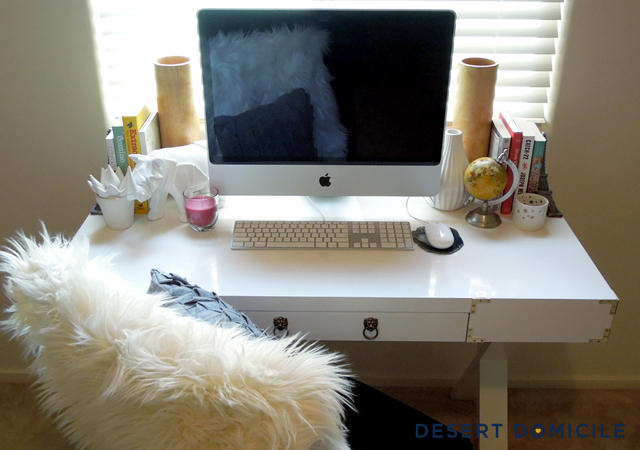 If you have too many items crowded together, things can start to look cluttered. Try grouping like objects in odd numbers together and see how that looks. Also remember to vary the sizes of the objects you group together. 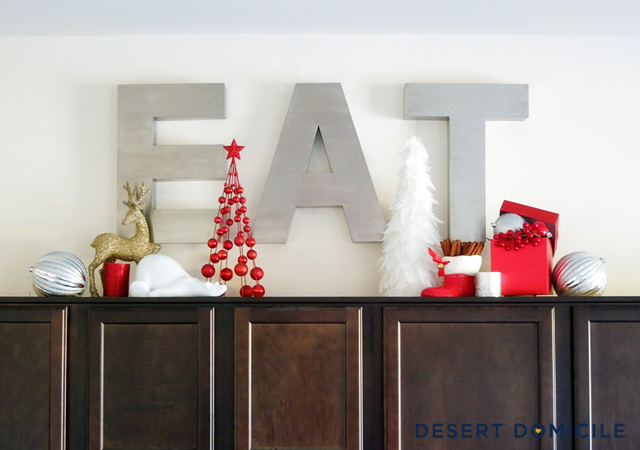 Too many little items will not only get lost on the shelves but they'll also give you the cluttered look. 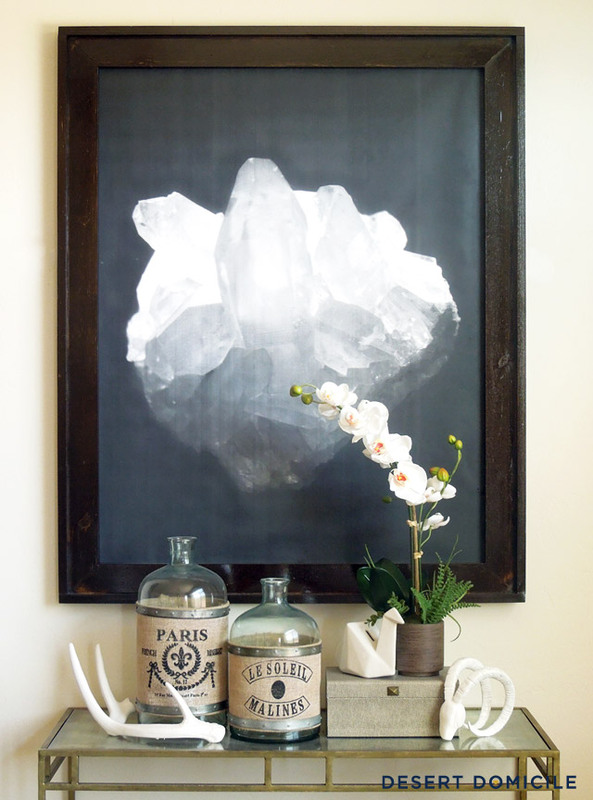 It's possible to style in small spaces, just use fewer objects. For a 1.5 x 1.5 cubbie I'd use 3, maybe 5 small to medium objects but wouldn't use more than that. Try placing one larger object next to a cubbie that has 3 so your eye has a place to rest and isn't bouncing all around to the little objects in the cubbies. Does that help you? I was thinking that maybe she thought the gold bowl on the shelves or my gold bear on the TV stand was a shoe? Or maybe she saw the gold Christmas deer and the Santa boot, scrolled by so fast and thought it was a gold shoe? That's all I can think of! Solid tips. Also, did you pee a little when you got that tweet from Emily Henderson?! Holy shiz. That's awesome. You really are so talented at styling. I'm lousy at it. It's probably my weakest attribute when it comes to design. I see the big picture, but the little details is where I struggle. And... I love Shark Week. Gorgeous - you have a talent for it for sure! Great post! Seriously. I'm super impressed with your styling ways. I'm working on it and your tips will totally help! Thanks Kenz! I was in such a shock when I saw she replied to me haha The notification popped up on my phone and I blinked a few times like wait, THE Emily Henderson?! I couldn't unlock my phone fast enough to see! Found you through a search on Pinterest, but I love your style so much I'm not following on Bloglovin'! And I adore your flying pig. I think I need one. *now instead of not. Sorry, it's late!